Five days of dance and sun in the Yoga Vallarta studio of Puerto Vallarta, February 5 – 9 2013. Thanks to my co-instructor Debra Shields of Saidi Sisters, the beautiful dancers who attended, Alma our studio host, and the restaurants that welcomed our evening dance parties! 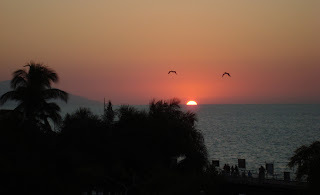 See our Facebook site Dance Vallarta 2013 for photos and video links.